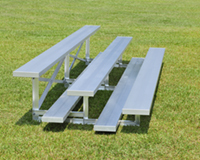 Quick Ship Bleachers 27 Foot 3 Row Aluminum Bleacher, 418 lbs. This commercial grade 3 row bleacher is in stock and ready to ship! 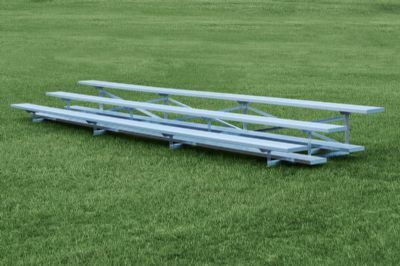 This 27 foot aluminum bleacher seats up to 54 people for school or sporting events. Constructed of anodized aluminum planks with heavy duty welded joints for durability. Portable design with wheels for convenience. 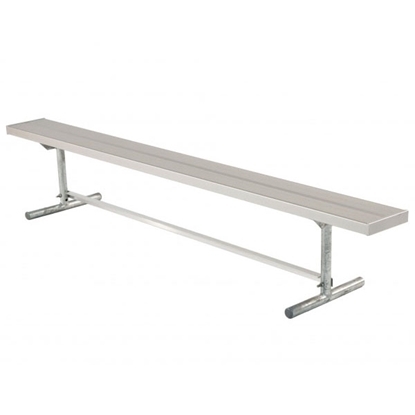 Features 2" x 12" anodized aluminum seat planks and 2" x 10" foot planks.